One of the most basic ingredients in beer is grain. Grain is what breaks down into sugar that yeast feeds on. When yeast eats this sugar, it produces both alcohol and carbon dioxide. Grain also adds color and flavor to the beer. Choosing the right grain for your beer is vital as it gives beer many of its unique qualities. Sometimes only one type is used such as barley. However, there are many types of grains that can be used. It is only required to add one grain to brew a beer. However, you can add multiple different types depending on what kind of beer you want to make. Different types of grains include barley, corn, oats, rice, rye, and wheat. Most local beer supply shops sell these beer grains and even allow you to taste them before you buy. 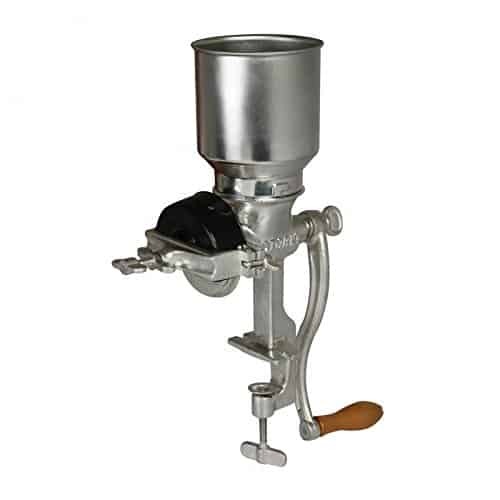 However, once you buy them, you will have to grind your grains using a milling machine. You’re probably wondering what is a mill used for? Grinding grains makes it easier to break down the starches into sugar when you are making your wort. These beer supply stores usually have a mill for homebrewing on site that you can use to grind the grain you have purchased. However, it may not always be practical to use their mill. It can be much less expensive to buy grains in bulk which may not be used immediately, or you may be purchasing online. 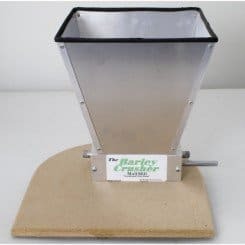 Because of this, you should consider picking up a DIY grain mill of your own. There are many different kinds of milling machines. They come in a wide range of price, quality, and purpose. Because of this, we took some time to point out some of the key features of some popular mills and hope you find this information useful. Homebrew, wheat, rice, barley, etc. Homebrew, corn, barley, grains, coffee, etc. If you are looking for something easy that is going to get your grains turned and aren’t looking to spend too much money, then this brewing grain grinder is a top contender. It is hand crank operated and utilizes a simple dial to adjust the coarseness of your output. The hopper holds about 4 cups and makes this a perfect candidate for small batch brewing. All you have to do is attach this mill to any tabletop with a thick surface between ½ and 2 inches, and you are ready to go. This is a quality grinder that will last for several years and is an excellent option for easy at home milling. This mill works like most hand crank mills. Just adjust it onto your tabletop and you’re good to go. However, its entire body, including the hopper, is made from cast iron. Quite stylish if you ask me. The blades are made of self-sharpening stainless steel, and the crank has a wooden handle. Like most hand operated mills, the coarseness can be easily adjusted, and the unit can be mounted to a flat surface. The hopper is not as large as some others, but with two people, you can easily have a continuous feed. People that want a vintage, classic feel should go for this one. The KitchenAid is my personal favorite. It’s an attachment grain mill designed to be used in tandem with a KitchenAid mixer. It is mounted to the front of the mixer and is powered by its motor. That makes this mill an electric automatic grinder. The KitchenAid beer mill attachment is all metal and is intended for all dry and minimal oil grains. Different settings allow you to choose whether you want the content to turn out cracked or fine like a powder. This makes grinding barley, wheat, corn, and rice an easy task. I’ve been using the Kitchen Aid for the past 5 years with no issues at all. This is the product I recommend to all my friends that are serious about homebrewing. 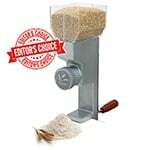 This table top homebrew grain grinder is great for grinding any wheat, nut or seed you may need. It is constructed with a cast iron frame, which makes this mill rust-resistant, durable, and easy to clean. It is also effortless to operate as it can be mounted and utilizes a manual turn. The manual lever has a hardwood handle that provides excellent hand support and makes it easy to turn over. This way you will be able to turn a lot of wheat, corn, or whatever you throw at it, in a single sitting. Another important feature is the large aluminum hopper. With this, you can turn a pound of grain per minute. This grinder also makes it very easy to regulate how coarse or fine your material comes out. All you have to do is adjust a couple of screws located below the hopper. If it seems you are putting a lot of stress on the grinder, then just adjust the screws until you get your desired results. Due to its consistent quality, hopper volume, and throughput, this tabletop grain grinder is one of the most popular choices for a home brewer. Consistency in quality comes from the rollers that can be adjusted to produce different grinds. The rollers are made of steel and are intentionally designed to pull grain through while you turn the crank. In my opinion, the crank is one of the best features of this mill. This is because it can be operated manually or automatically. All you have to do is attach an electric drill and then start turning out multiple pounds a minute. This output is supported by a very larger hopper that can hold up to about 15 pounds of content. 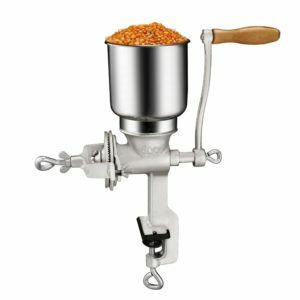 There isn’t a significant difference in how a manual grain mill or automatic motorized mill machine operates. Both are designed to grind most grains, and both can be adjusted to regulate coarseness. However, the most significant difference is the speed at which you can turn your grains. An automatic grinder has a much faster output and will take you a fraction of the time as a manual mill with the same volume. Our favorite beer of the month clubs where craft beer is delivered straight to your doorstep – see here! Go with the Victorio VKP1024 Deluxe Grain Mill. This is by far my favorite. Everything about it screams easy – easy to use, easy to clean, easy to mount and great for small batches. 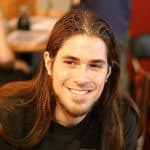 This is the perfect mill for the casual homebrewer. 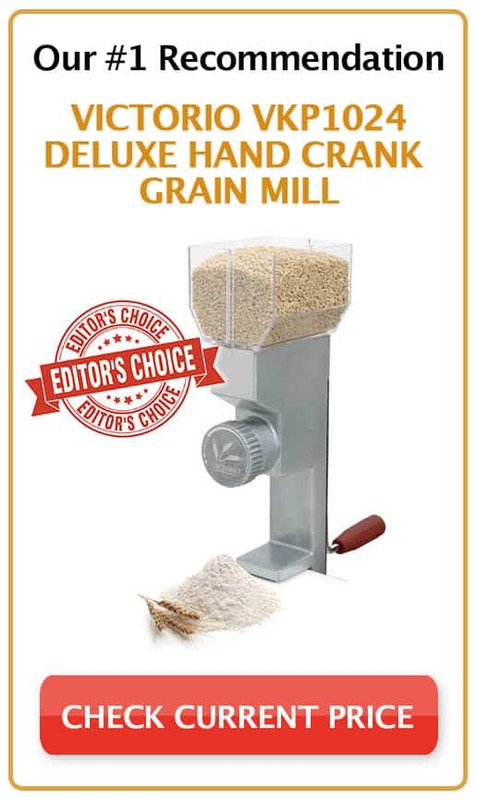 It’s been sturdy throughout the years and has never done anything but deliver quick and easy milled grains. 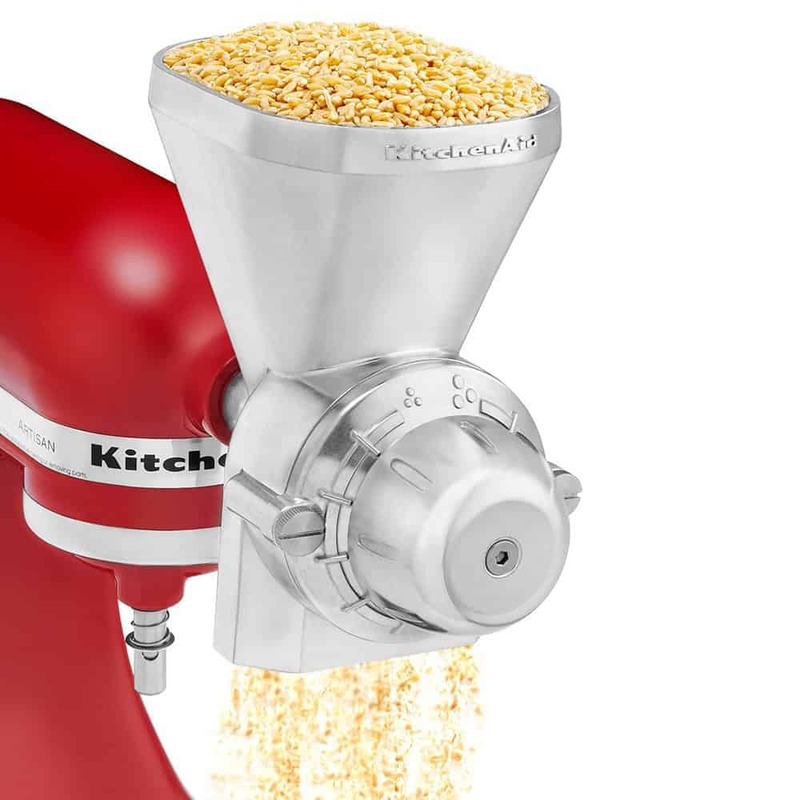 If you have the budget, you might want to check out the KitchenAid KGM Grain Mill Attachment. It’s versatile and mess free. All you need to do is attach it to a fermenter bucket and let it rip. Previous Post What Is The Best Home Beer Brewing Kit?